At McCourt, we are dedicated to building responsibly and giving back. On May 14th, 1984, Richard McCourt was featured alongside Mayor Raymond Flynn on the front page of the Metro Section of the Boston Sunday Globe. McCourt Construction had partnered with laborers’ Local 223 and community residents to cleanup several Boston neighborhoods. McCourt donated 8 dump trucks, 16 front end loaders, 12 pickups and encouraged its employees – from management to field laborers – to participate. Mayor Flynn praised the effort for showing “a commitment to the people in this neighborhood and to the people in this city.” A full text of the article can be accessed here. McCourt recognizes and appreciates the contributions of our nation’s veterans. On several occasions, McCourt has organized volunteer personnel and labor, and donated equipment and materials to erect memorials to these heroes. 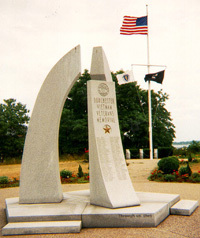 Prominent examples include the Vietnam Veterans’ Memorials in Cambridge, Somerville and Dorchester, MA. McCourt Construction is actively involved in supporting the education of tomorrow’s engineers and contractors. 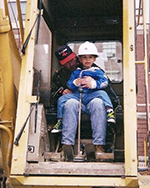 McCourt Construction has endowed a scholarship through The Utility Contractors of New England (UCANE) in the memory of our third-generation CEO, the late Frank McCourt. In addition, the McCourt family recently established a permanently endowed scholarship at Boston College. And, every year McCourt Construction employs a lucky group of co-op students from the Wentworth Institute of Technology and Northeastern University for on-the-job training in engineering and construction roles. The McCourt Foundation: This Boston-based charity has raised over $1,500,000 for Multiple Sclerosis & Alzheimer’s Disease. McCourt Construction is a strong supporter of the Foundation, and Ryan McCourt serves on its Board of Directors. For more information or to support the McCourt Foundation, please visit www.mccourtfoundation.org. In addition, each Christmas McCourt runs an employee contribution drive during which the company matches employee contributions dollar for dollar. A list of charities that McCourt has recently made donations to can be found below.